Bison running back Jamel Lyles runs the ball against the UBC Thunderbirds. Lyles had 11 yards rushing in the loss. 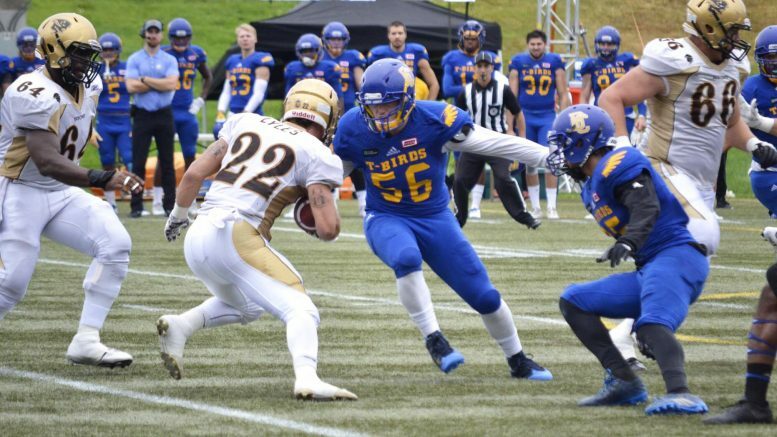 Turnovers were the difference on Saturday afternoon in Vancouver, as the UBC Thunderbirds recorded their first win of the season with a 32-18 victory over the now 0-2 Manitoba Bisons. There were a combined seven takeaways during the game, however it was the T-Birds who made the most of their chances, producing 14 points off of four turnovers. Manitoba’s offence on the other hand, was unable to score on any of the three turnovers that their defence produced. The turning point in the contest occurred late in the first quarter, with the game still tied at zero. Manitoba linebacker James Mau had just recovered a fumble in UBC territory, and the Bisons were getting ready to kick a field goal after being stalled offensively. 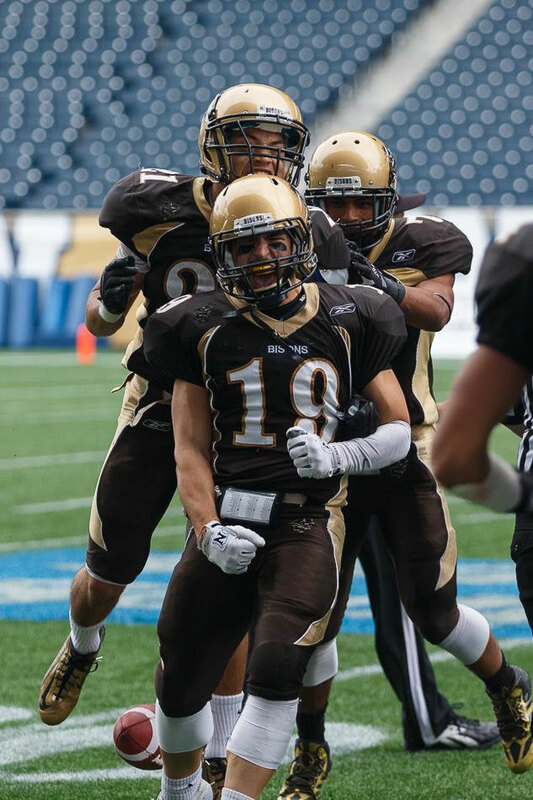 The snap sailed high over placeholder Jayden McKoy’s head and Manitoba came away with nothing. The T-Birds would go on to score a touchdown on the ensuing drive, and wouldn’t relinquish the lead for the rest of the contest. The other critical turnover for the UBC defence came early in the third quarter. The Thunderbirds had gone into halftime up just 13-10 but had scored a major on their opening drive of the second half to make the score 20-10. The Bisons were looking to answer, and yet again were deep in the Thunderbirds end, and Manitoba quarterback Theo Deezar threw a costly interception which was returned for a touchdown by defensive lineman Elliot Graham. Offensively, it was the run game that played a major role for UBC. Ben Cummings was the standout player, carrying the ball 24 times for 165 yards, over 90 of which occurred in the first half. Manitoba’s Jamel Lyles on the other hand, was held to just 11 yards on 10 carries, and also left with an injury in the second half. Michael O’Connor won the battle of the pivots, going 20-of-30 for 237 yards, while also throwing two touchdowns. Deezar threw for 326 yards and two scores on the day, but he also threw the costly pick six that put the momentum firmly in UBC’s favour. Mau led the Bisons defensively, finishing with 9.5 tackles and two fumble recoveries, and offensively Riley Harrison led all players with 115 yards on eight catches, and also had a touchdown. 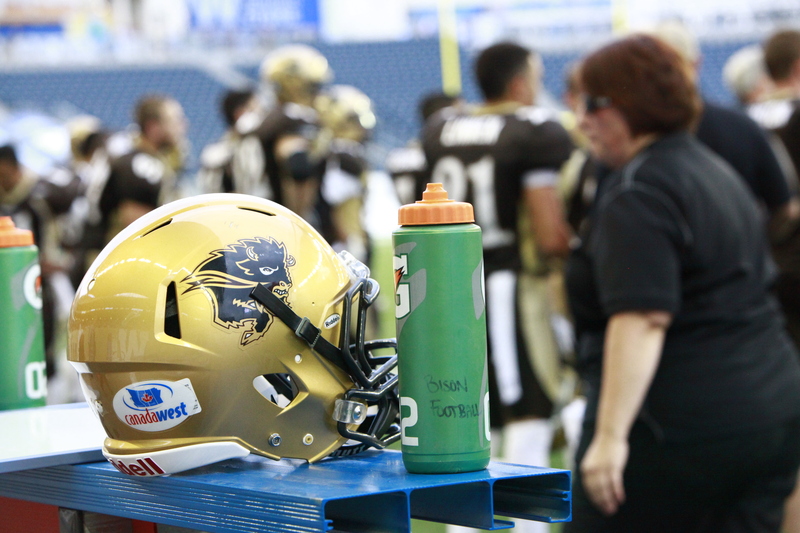 The Bisons next game goes on Saturday at 1 p.m., as they host the Calgary Dinos.